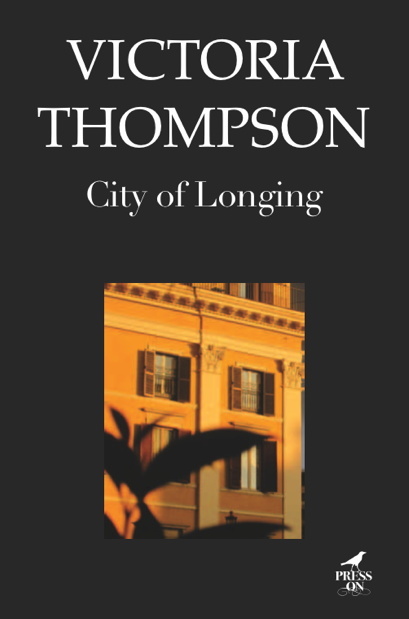 CITY OF LONGING is a moving love story, steeped in longing, conflict and desire. “The betrayal of one’s friends is a bagatelle in the stakes of love, but the betrayal of oneself is lifelong regret,” Tom Stoppard wrote in The Invention of Love—and it is this regret that compels a man to search for the woman who will help him. He is mysterious and immensely wealthy, a banker. She is his apparent opposite, creative and idealistic. But she too is lost and unhappy. They are separated by oceans and continents and much more. Despite their seeming differences, they fall in love. They arrange to meet in New York. Afterwards they will fly to London and from there to Paris, his suite at The Ritz, and to his château in the South of France. But there are many surprises ahead, especially for the woman whose journey leads her to Morocco and finally to the Swiss Alps where she finds the answers she has been looking for. This unconventional love story incorporates a contemporary backdrop of many elements—conspicuous wealth and globalisation; the harm and suffering caused by the politics of medicine; the world of art, myth and literature; the power of places and the ecstasy and agony of falling in love. 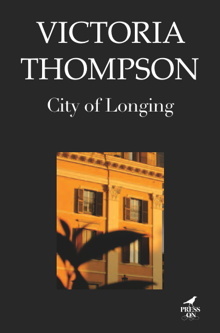 Thompson’s writing is beautiful: a blend of sensual and intellectual, strewn with literacy, political and historical references. City of Longing is a deeply romantic love story, but it’s also much more – a meditation on literature, history, animal rights, human kindness, the politics of modern medicine, the world of Art, bankers and globalisation – and the ramifications of the personal choices we make. I love the book: it’s gorgeous. Lyrical, haunting, elegant, spare. I wish to acknowledge information and inspiration gleaned from the following: Phillip Day, Health Wars, Credence Publications; Michael Haag, Alexandria City of Memory Yale University Press; C Hutchins and D Midgley, Goldsmith Mainstream Publishing; Richard Holmes, Shelley: The Pursuit, Vintage; The Dalai Lama, Ancient Wisdom, Modern World, Little Brown; John Richardson, A Life of Picasso, Pimlico; Carl R Rogers, On Becoming a Person, Houghton Mifflin; Tom Stoppard, The Invention of Love, Faber and Faber; Claire Tomalin, Shelley and His World, Penguin; Ashley Hay, The Secret, Duffy and Snellgrove. The poems of Cavafy are translations by Edmund Keeley from Cavafy’s Alexandria, Princeton University Press. Many thanks to Mr Keeley for permission to use his translations. I wish to express my gratitude to Alain de Botton, Michael Wilding, Nick Walker, Jeffrey Masson, Tracey Mair, Louise Thurtell, Dawn Standfield, Rosemary Dan, Janet Robertson, Daniel Ruffino, Laurel Cohn, Jean Bedford, Lisette and David Jamieson; my friends and legal advisers, Joanne Rees and Bruce Clarke, and my agent, Fitzroy Boulting, for his unwavering belief in my work.